When a pay-per-click specialist begins a campaign, typically, the first step will be the keyword research. They aren’t only searching for those who wish to find your company, but they’re trying to separate out the “tyre kickers” (those who want to waste your time by only researching). If the campaign targets the wrong keywords and in the wrong way, that has lots of ramifications. Costs can end up spiralling out of control. Then, the quality score can end up dropping through the floor. Even if Quality Score plus relevant keywords are identified, it’s essential to make sure you only pick the fights that you know you can win regarding the competitive elements as well the cost of targeting certain keywords. If you don’t’ get this critical element of the campaign correct, you can exhaust your pay-per-click budget and get a meagre return on investment. PPC campaign keyword research is often done in a specific manner and can take lots of time to pinpoint a clear strategy that will fit the budget of a client as well as the geographical targeting demands. You can choose to use paid tools; however, this can be costly and push the overall PPC activity cost above the cost you will incur when you employ PPC specialist. Experienced PPC professionals look at a complete host of different analysis types to try and form a full business picture before they select the keywords that are going to be targeted. Driving into an AdWords account can be quite intimidating; there are numerous setting to utilise to ensure you get the most from your pay-per-click campaign. Anything as simple as incorrectly setting up the geo-targeting can lead to a budget being spent in minutes. For instance, imagine you have set your account, you have added your payment source, and created your advertisements. You then set the campaign live and realise that you blew through 1,000 pounds worth of clicks in just 5 mins and you only got traffic from a different nation to your local restaurant. If it occurs frequently, then imagine the outcome. Geo-targeting is an example of one of the settings in the AdWords account. Several settings have to be configured correctly for you to have a successful pay-per-click campaign. Let the experts handle it, so you do not have to worry about mistakes that can result in a poorly performing campaign. Usually, as a business owner, you’re already wearing several hats, and they are most likely already spread thin. To run a successful PPC campaign, you require constant analysing plus optimising to increase the performance and eventually the return on investment. You always pay for every single click; thus, you need to ensure the whole campaign is run perfectly to capitalise on and convert that traffic as much as possible. It’s no secret that pay-per-click is growing in popularity; consequently, the costs of PPC are increasing as well. Hence, unless you have a few hours every day to devote to running your pay-per-click campaign, it would certainly be a wise choice to have a professional pay-per-click agency handle this for you and allow you to concentrate on running your company and handling the daily operations. Do You Know and Understand the Difference Between PPC and SEO? A professional business site is only part of the story. Although it is essential, it’s also important to have an approach to traffic. PPC and SEO are different, but they have similar objectives regarding their capability of working together to develop active traffic sources for the site. PPC works fast to grow your business in the short run, while the organic growth through search engine optimisation has time to develop. The two areas are technical and knowing what has to be done is a difficult task. Also, it requires you to have a depth of technical understanding in general online marketing. Online digital marketers understand both PPC and SEO, and they’re well versed in how both of them can coexist together. Therefore, if you’re new to these two complex fields of tools for generating online traffic and associated techniques, it’s best you leave everything to the specialists. The industry of online marketing is constantly changing, and a professional marketing agency always keeps up with the latest trends and changes. It’s important to be constantly up to date with all the newest tools, technologies as well as strategies to keep pay-per-click campaigns performing well. It’s a competitive space that you’ll benefit when you have a professional handle your pay-per-click. Many companies benefit from a daily increase in new customers using pay-per-click. 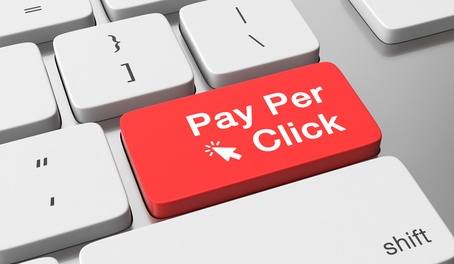 PPC has come to be the defacto standard in pay-per-click marketing. If it’s implemented incorrectly, however, you might not experience the business potential as well as growth enjoyed by other companies. With the advanced advert capability, extensive advert extension and powerful Keyword targeting, targeted relevant traffic will be directed to your landing page. Your landing page will focus things further, highlighting key functionality that searchers are looking for, and presents a clear, cohesive (CTA) call to action. When pay-per-click be configured correctly, the quality algorithms that are built into Google Adwords decrease the costs while increasing the traffic based on that measurement. This entry was posted in Google, PPC on July 15, 2018 by Pinnacle.